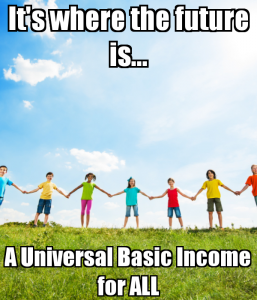 The Mana movement’s support of the idea of a universal basic income is a welcome development. It could become one of the litmus issues that define the party and prove extremely popular. If Mana are in a position to do so, they should demand that the concept be explored in a commission on tax and welfare to be established by the incoming Labour/Green government. The Green Party is also a supporter in principle for the idea. The mechanics of a UBI are actually quite simple. We would abolish WINZ and the giant bureaucracy it administers. We would eliminate working for families and most welfare benefits. 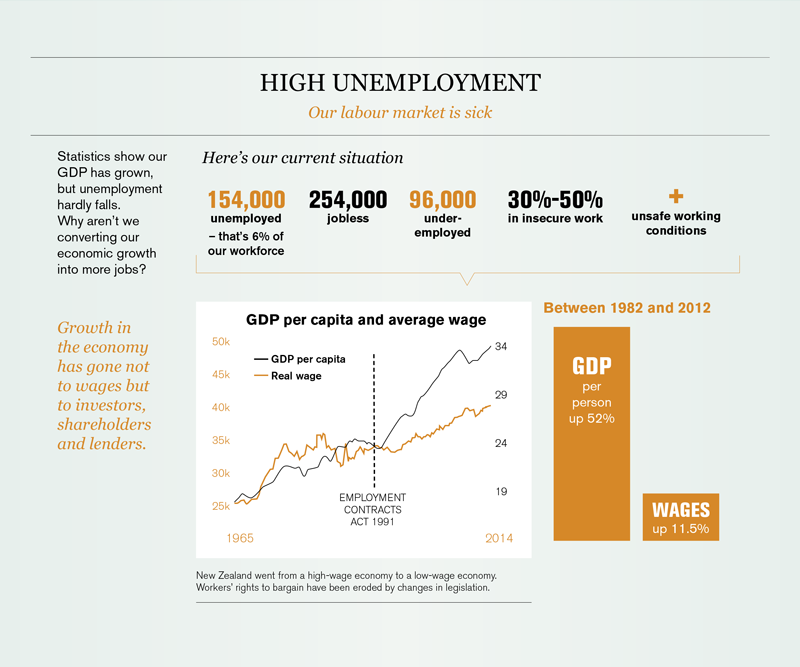 A right wing blogger has made a fool of themselves trying to dispute figures first revealed by me in the Dailyblog about how a huge gap had grown up between the number on benefits and the number being recorded as unemployed or jobless in the household labour force survey. She was replying to a column by my colleague Matt McCarten in the Herald on Sunday. She did a crudely hand-drawn graph allegedly showing that if you combined the numbers on the unemployment benefit with the number on the sickness and invalid benefit you get a completely different picture. Well that is true with a hand drawn picture. However, if you actually use the official numbers from the Department of Statistics website and use an excel spreadsheet to draw the graph the picture is a little different (actually a lot different!). 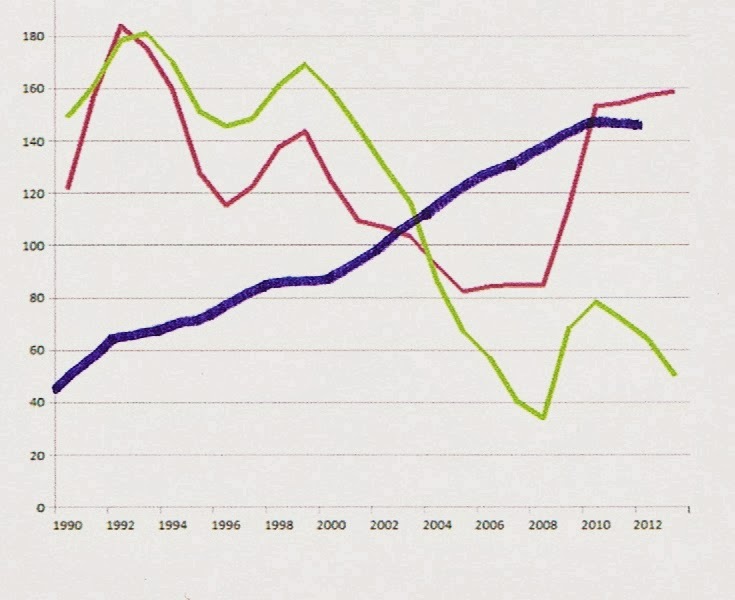 The purple line represents the number unemployed; the green line the number of people on the unemployment benefit. But what does it look like if I add the line representing people receiving a sickness or invalid benefit?